That’s why they’re so sloppy. Anyone can see that no planes hit the Pentagon or crashed at Shanksville. They want us to compromise ourselves by accepting these lies and not seeking justice for the victims. Thus, by our passivity and cowardice, morally we become their accomplices, practically collaborators. Let’s fast forward to the “Valentine’s Day Massacre” in Parkland Fl where they dropped a plethora of clues that this was another hoax. There is video of the cop-shooters yMHpU3vMzuRJCTWK.mp4 exiting the school despite the advertised fact that cops were told not to enter. As in the Las Vegas mass shooting, the surveillance video has been suppressed. David Hogg is seen rehearsing his lines on camera before the event. Alexa Miednik, believed to be a crisis actress, sabotages the official story by saying she heard firing while walking beside Nicholas Cruz. Sherrif Israel, married, got a teenager pregnant in 2012 but #MeToo is selective. None of these videos have been taken down. Yet practically no one in the mainstream is questioning if this mass shooting was a psyop to promote gun control. It requires the suspension of reason because it isn’t believable to a reasoning and rational human being. 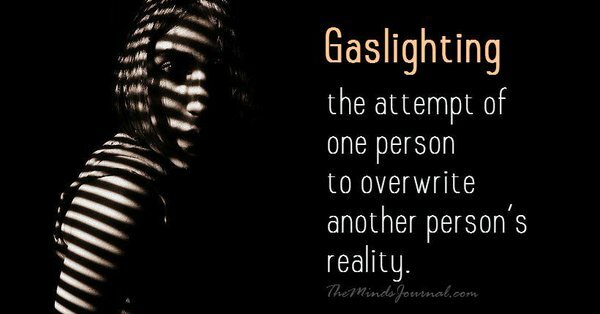 One has to participate in their own deception in order to believe it. I think that may be what they want. By conjuring up these events that are unbelievable to a rational and reasoning person, they force us to participate in the lie and our own destruction. The hardest thing in the world right now is staying true to yourself, and not deceiving yourself. That’s the way I see it. They need us to be active and lifelong participants in this massive lie. If we can continually suspend our reason and deceive ourselves, we control and police ourselves for them. We are our own slavers. The hardest thing right now is just staying conscious to this all and remain sane. It would be so easy to just let go and allow the currents of change and this world carry the mind and soul away. 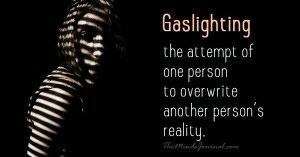 Another explanation is gaslighting- “Gaslighting is a form of manipulation that seeks to sow seeds of doubt in a targeted individual or in members of a targeted group, hoping to make them question their own memory, perception, and sanity.” (Flat earth is a prime example.) Satanic possession is about turning reality upside down so evil is good and false is true. The Illuminati don’t just want your children, your spouse, your property, and your freedom. Your birthright isn’t sufficient for these Satanists. They want the ultimate prize. They want your soul. They tell us about the conspiracy because they want us to be compromised. Just as lower-ranked Freemasons or ordinary Jews or Americans or Europeans are compromised by their support for war. They want us all to become demons. They have a wager with God. They can win us over to Lucifer. But they have to give us free will, the ability to make a choice. That’s the reason they reveal the conspiracy to us. For example, the Rockefellers sponsored the John Birch Society. Their publication, The New American is still one of the best sources of information about the elite conspiracy. This controlled opposition has other functions. They are able to steer the blame and make sure no real resistance ever develops. This is why many websites like mine function with little difficulty. They want everyone to know. Some other websites may actually receive support from the Illuminati. Ralph Epperson, author of The Unseen Hand (1985) has been teaching about the New World Order since the 1980’s. He told me that he had never encountered any push-back from the Illuminati.